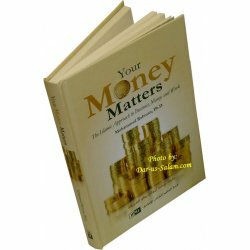 Buy with an account and earn 32 loyalty points. Your cart will total 32 points worth $3.20 for future use. 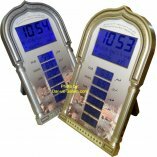 Digital Azan clock with 2000 Cities Adhan Times, 8 Azan voices and Qibla Direction. 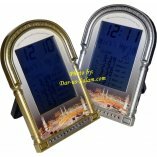 Specify the city and current time and it calculates all the prayer times automatically and displays each one on the screen. 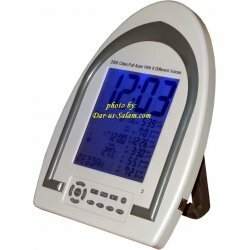 You can also adjust the Azan time +/- 99 min if needed. 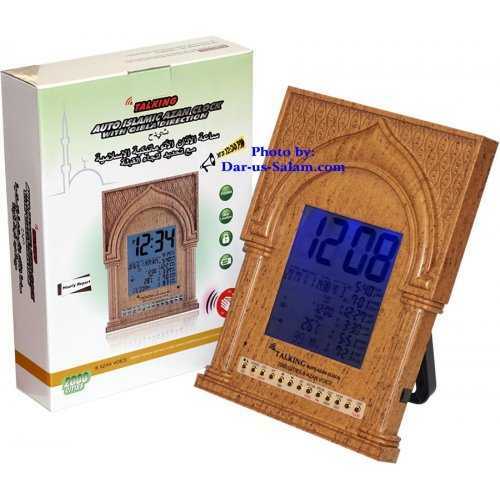 It plays one of the selected Azans automatically when it is prayer time. 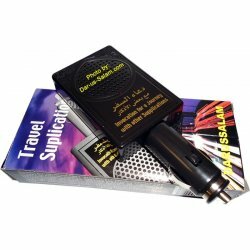 It makes a perfect gift for all Muslims. 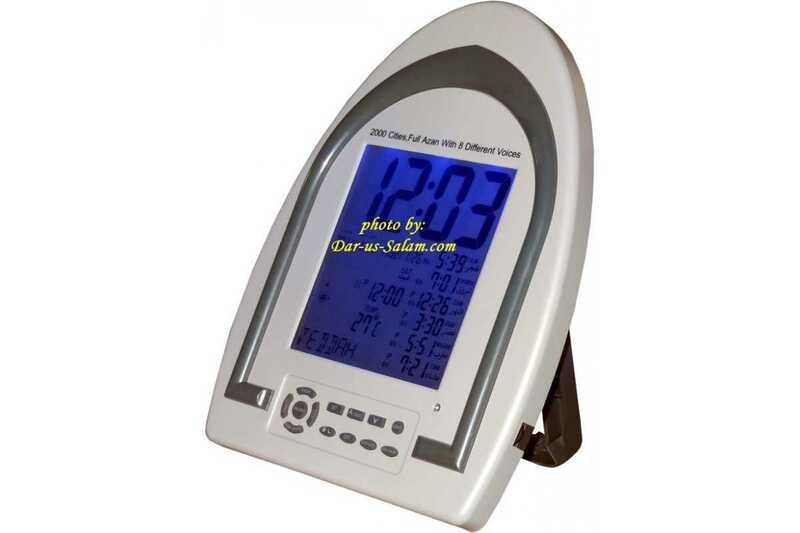 This clock also includes the power adapter which you can use if you want to without the need for 4 'AA' batteries. 2000 Cities Azan times & world times.